FLORHAM PARK, N.J., Nov. 8, 2018 — Conduent Transportation, a business unit of digital interactions company Conduent Incorporated (NYSE: CNDT), will continue to help ease travel across Los Angeles County by modernizing the tolling system on ExpressLanes with the latest in automated technologies. The upgrades will save drivers time via reduced congestion, while also improving safety on both the I-10 and I-110 corridors. 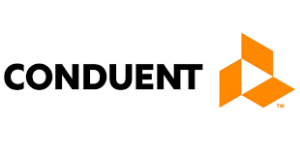 Conduent Transportation is a leading provider of public transportation and mobilitysolutions – including electronic toll collection, parking management, and advancedtransit and safety systems – that offer automated, analytics-based and personalized services for government agencies and their constituents. The company has been helping transportation clients for more than 40 years and operates in 27 countries.